Major Leo Handley-Page, a half-human/half-Byzallian, is the Strategic Operations Officer and Marine CO aboard the USS Vigilant. 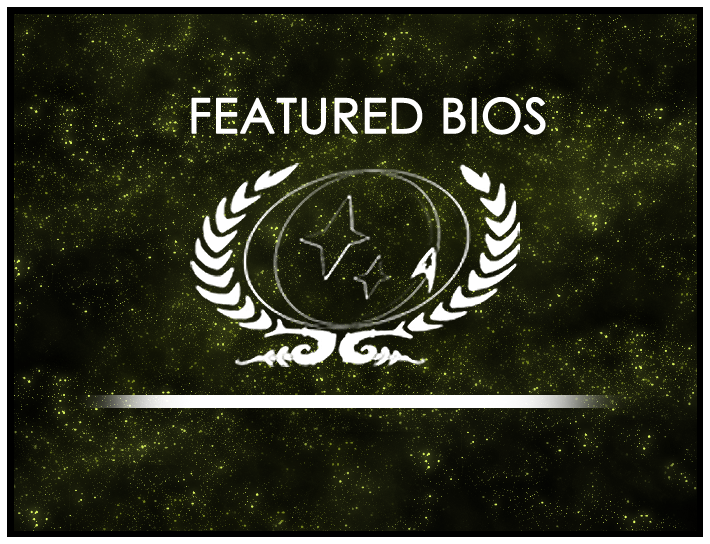 His colourful history with Starfleet has left him with the perfect mixture of skills for serving on the frontier. Aboard the Vigilant, Leo is known for his chirpy, gung-ho attitude and use of ‘Briticisms’, although Leo’s upbringing in Oxford, England came as a result of his rescue from a much less friendly world. Somewhat of a ladies’ man, Leo has been linked with a number of officers on the ship’s rumour mill. He can often be found in the ship’s bar, the Watchpost, in female company, and his karaoke skills have gone down in Vigilant legend. His love-hate relationship with long standing colleague Eyas Wulfantine is a constant thorn in the side of the Pythron security officer. Leo also enjoys taking part in high-octane holonovels and is a follower of Parrises Squares, common ground that he shares with the Vigilant’s commanding officer. Major Leo Handley-Page’s bio will be displayed on the wiki’s front page for the month of July. As always, you can find out more about the contest at its wiki page or in its forum. Round 15 is now open, so be sure to drop by and submit your own nominations!